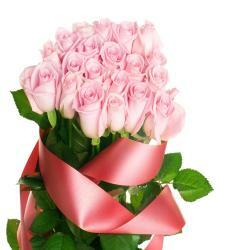 20 Pink Roses hand tied Bunch. Give reason for beautiful smile on your special one face by delighting them with extraordinary gifts from giftacrossindia.com on their special events. 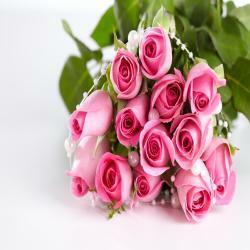 This is a splendid bouquet that comprises of Twenty carefully picked pink roses tied in a bunch and adorned with simple wrapping. The bunch is looks elegant with matching ribbon bow tied. 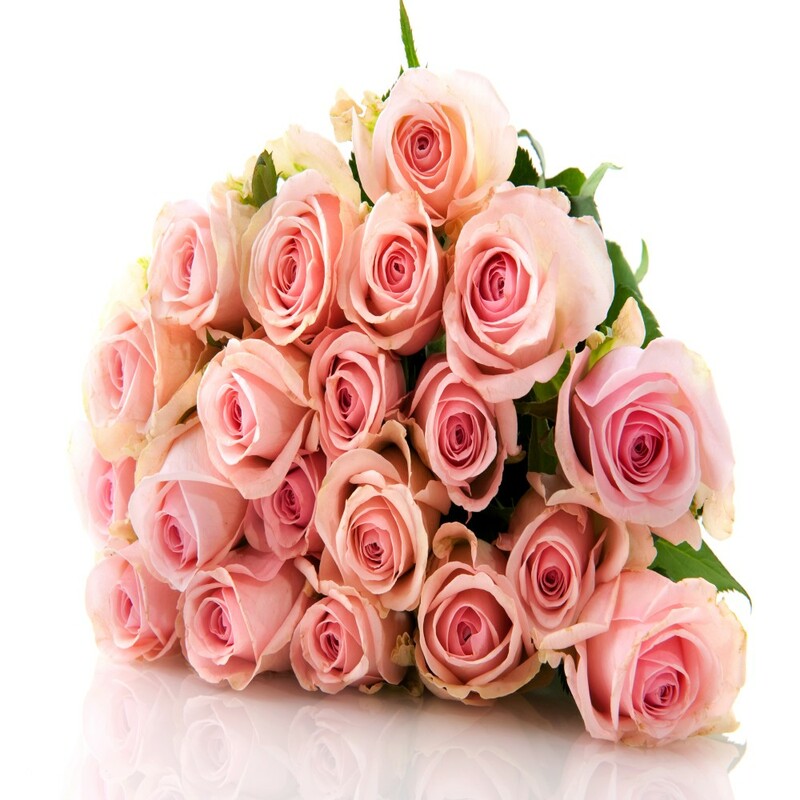 You can gift this stunning bunch of freshly bloomed roses to your sweetheart on wedding anniversary and Valentine Day and make her feel on top of world. 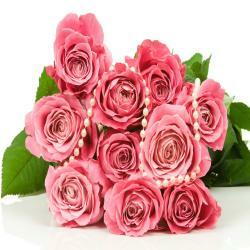 This bunch is ideal for a housewarming and baby shower. 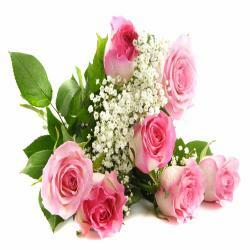 Product Details : 20 Pink Roses Hand Tied Bunch.